Between Vegan Street, Vegan Street Media and our activism, we are a little busy but that didn't stop us from taking on a new project: a podcast. This medium allows me - Marla Rose - to explore issues that are often difficult and painful. I'll get right down into the grit before offering up a series of potential solutions that are designed to leave the listener feeling, well, 30% Better while never dumbing it down and grasping for facile panaceas. Can we all agree that things have been, oh, a little bit cruddy* for at least the couple of years? And that for many people and populations, it’s been cruddy for a lot longer than that? As a longtime activist, I'm concerned about this because I think unrelenting cruddiness - that is the technical term - can lead to apathy and a feeling of powerlessness, and maybe that is the end game after all. There are some really terrible things in the world that we seem to still be deeply entangled with and invested in despite our supposed advancements and evolved thinking, from oppressive bigotries to needless cruelties that really should have been relegated to the dustbins of history by now. On the 30% Better podcast, I will explore topics like misogyny, systemic racism, the seamy underbelly of capitalism and more, you know, light stuff, with my blinders off but with an overarching intention of hacking my way through it to solutions. Not simplistic, love-and-light kind of solutions either, but pragmatic approaches that work, the kind that Type A, results-oriented do-gooders like myself can put in our collective toolkits to make a positive difference in the world. I understand! It’s a little weird. I’m a little weird. We’re all a little weird. The whole concept behind this podcast is that I spend the first part of each episode bumming you out: really diving deep into human-caused problems and the fallout from them without pulling punches so the whole picture can be grasped and understood. The other part of the podcast, though, is where the light comes in: after the warts-and-all picture is presented, honest solutions that offer real world results will be presented with the goal of helping you to feel at least 30% better by the conclusion of each episode. Is this 30% better measurable? Are there consequences if, in your estimation, this podcast doesn't help you to feel 30% better by the end of each episode? How often can I expect to hear a new episode? I am aiming for twice a month. 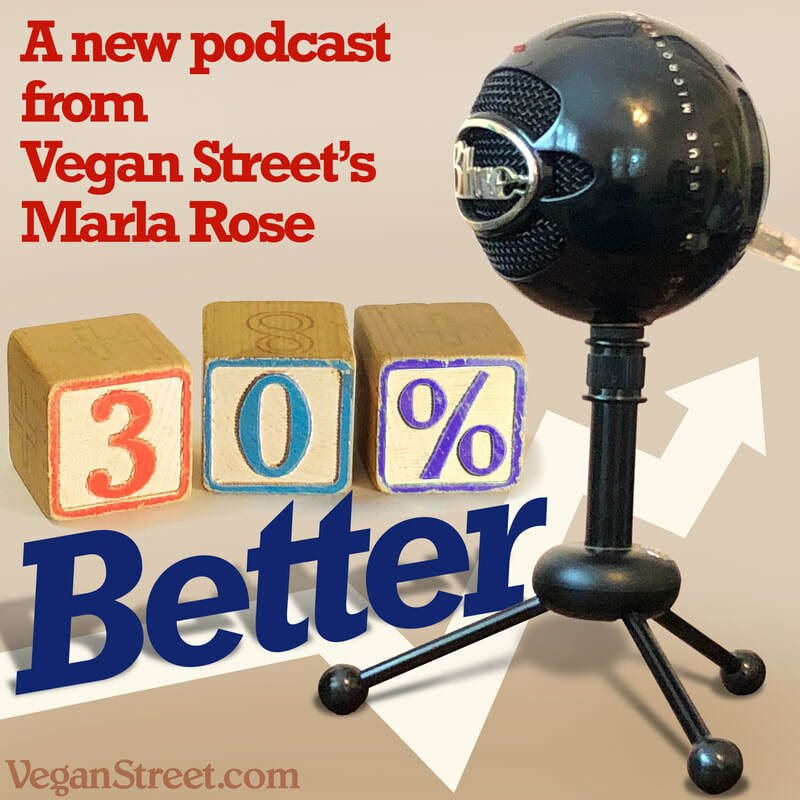 The 30% Better podcast is a way that we can explore the challenging, painful, bleak and thorny topics that need to be addressed without falling into despair. Instead of the bad news being an end unto itself, it is an entry point to building a better, kinder world. * I am using the word “cruddy” specifically because I am aiming for a G-rating with 30% Better but we’ll see how long that lasts. My guess? Not long. Come back here for new episodes as they are uploaded and where to listen.